This is my first build as the title suggests. It's also my first desktop and foray into PC gaming. This will be used primarily for gaming, but also just standard home use- no graphic design or anything. I've been playing console games for years but wanted to taste the magic of PC gaming. I was originally inspired by a video of Skyrim featuring a large helping of Tommy Wiseau and The Macho Man Randy Savage, because who wouldn't be awed by that. It has been one hell of a learning experience if nothing else. 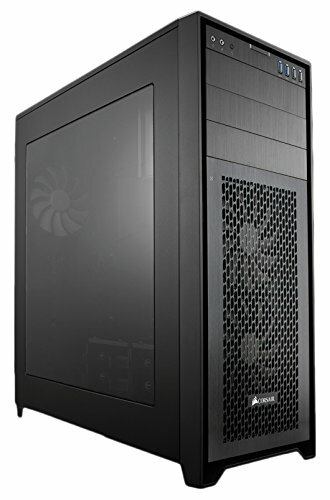 I spent over a month just looking at builds and comments on here as well has researching parts and, well... everything I could about building a computer. I went into this knowing almost nothing about the process or even what was needed or how it all worked. So I was extremely relieved when nothing caught fire upon being powered up. Winning. The build went great overall, I had little to no problems during assembly. 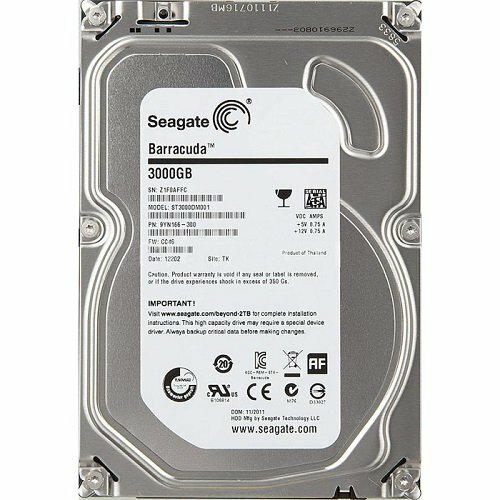 Any hiccups I did come across were due to being a first time builder and not knowing something that most probably just assume everyone knows (like the need for SATA power and data- those aren't one and the same). I have had some trouble with the OC on the GPU, but that's simply because I'm not quite sure what I'm doing and don't want to destroy it. Any tips on that would be greatly appreciated. I was going for a sort of metallic look with the ability to have awesome lighting and colors if desired. For what I had in mind, I'm blown away. I don't have much to compare it to but this is the fastest and most powerful computer I've ever personally used. I am thinking about replacing the fans with the Riing RGB fans, I think it would fit my build theme better. I want to do more research and hear from people who have hands on experience with them before I pull the trigger though. I'm open to any feedback you may have and thanks for checking out my build! Edit I did some benchmarks and added some screen shots. Overclocked to 4.6 @ 1.31- I could probably push it further but being new to this I'm not sure I want to. Bonus points for being easy to OC for a beginner. I love the sleek look, the RGB logo, and it keeps the CPU nice and cool. I haven't even hit 60C under load yet. 3TB for 85 bucks. Does its job with no issues. I've barley begun to really push this card, but it stays cool under load and handles games with no problems. Plus it looks good. Works great, not a fan of some of the software that comes with it. I opted to not install some of it. Got the Pro because it was on sale at the time. I didn't want a bunch of customizable buttons or anything too crazy. I liked the look of this one and it had the RGB to sync with the keyboard. Love being able to adjust DPI with the touch of a button. Plus it's comfortable. And fans everywhere you can put them. This won't overheat. 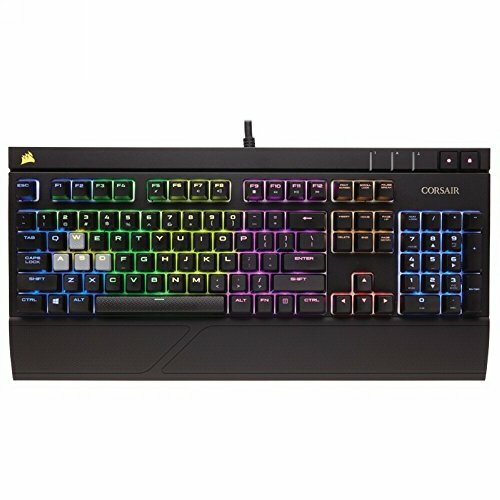 I'm not sure If you like Corsair or not, but I'm going to go out on a limb and say you do. Still not positive though. Congratulations. That MOB is so clean I think you can eat off it. I also like the laser-man figure you put inside the case. I wish I had done the same, vs. spending $100's on anti-virus software over the years. Enjoy! Haha, thanks! He's no Batman but still works in a pinch. You did a little bit below, but can you go into more detail what brought you to your choice in MoBo over the Hero? I'm a first time builder as well, but I plan to OC as you did. Sure thing: One of the main things was probably the difference in number of USB 3.0 ports on the back panel and the just the look of the board. There's also the built in WIFI and Bluetooth, plus I think I will do a custom loop eventually (won't be for quite some time) and I liked that they made it so you can just run one through the built in heatsink. There's some other little features but really when it came down to it the Formula had everything the Hero did and then some so I decided I'd rather have it and not need it than need it and not have it. And the overclocking experience was easily accessible & workable? Yeah, I had a much easier time with the CPU and I just used the BIOS to do it. I used MSI afterburner for the GPU and that took a bit longer to mess with. Probably due to not knowing enough going in. Nice work. I like the setup. The pc looks great. I'm probably a bit biased, but I think that's a great idea! Nice! 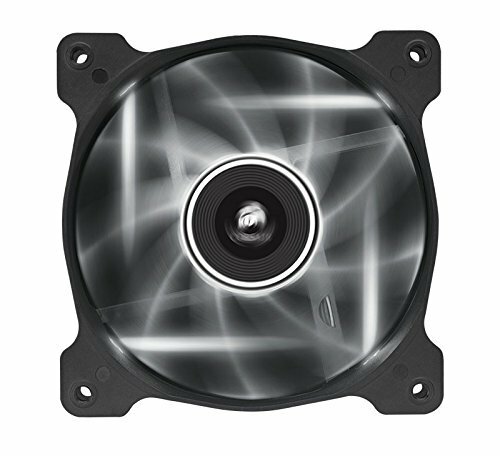 Can you comment about the noise level of the AF120 and/or SP120 fans? Of course! They are pretty quiet, I don't even notice them until they start going about full speed and even then they aren't very noisy. Honestly, I think most of what I can hear is the actual air moving anyway. 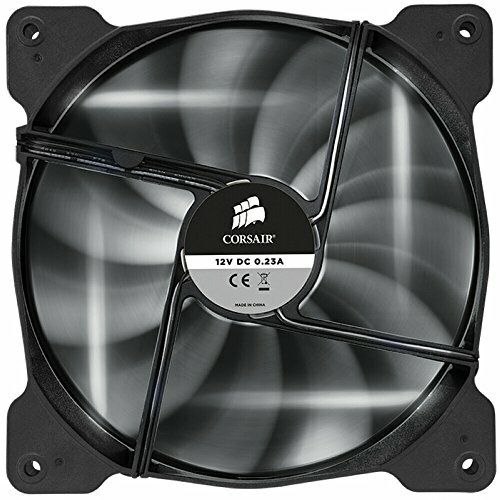 I was looking at the Riing case fans too, but I decided not to go with them because you have to use this silly little control box to change their color. It's not even something you could install in a drive bay. So you'd have to open your side door if you want to change the colors, or mount the controller outside the case. I don't know what Thermaltake was thinking. Yeah it's a shame, my decision would be a lot easier if they had a better way to control them. hows the led light from the formula? it comes with it right? i was thinking of getting the same MOBO. also hows the building experience since youre a first timer? im planning on building one myself but is afraid the wires might get interchanged or something since i have no clue how to build. The Formula does come with LED, and I think they look great. I will say that you can see where the LEDs are underneath though, it's not smooth lighting throughout. But that doesn't bother me at all. There were some challenges being a first timer, but there are SO many resources to be found online that helped me. I also had no idea about how to build but I learned the basics of how to connect all the parts (and what wires go where) just by watching build videos. One I found really helpful was Carey Holzman's Youtube channel. He has some build videos with minimal editing so you can watch the entire build process. In the end, it was easier than I thought it would be. Good luck! I compared the two and they are pretty similar honestly. Ports/connectivity is close: Z170 has more USB, and addition PCIe x 1 (although it shows Formula uses PCIe 2.0 x 1 and Z170 has PCIe x 1) . Formula has more SATA and built in bluetooth. There are minor feature differences such as the built in audio and BIOS/drivers and the ROG exclusives that come with the Formula (and the EK hybrid cooling). Honestly, unless one of those makes a big difference to you I think they are similar enough that you could just pick the one you like better for your build. thanks so much it helped me a lot. ive been doing research for a couple of days now and finally made a conclusion that id rather spend a couple more for a full future proof motherboard and newest so i can stay at it for a good number of years. so ill go for the formula! :) and at the same time i dont have to stick to just white if i want to start a new build in the future due to its RBG feature. thanks again and see you round the site and more builds to come! Awesome! How is the mobo black though? They are red. I think that was just on the older ones- they changed it with the VIII. Ok. The picture for the board on PCPP product page is red, are those just the motherboards LEDs? Oh I see what you mea, yeah that's just the LEDs. Nice build, there's something about that formula sign that goes so well with the rest of the computer and its aesthetics. What do you use to get the case to light up like that? If I may ask? Thanks, and I just bought an LED strip, then rand it around the inside edge of the case. It's connected to the RGB LED header that's built into the motherboard. 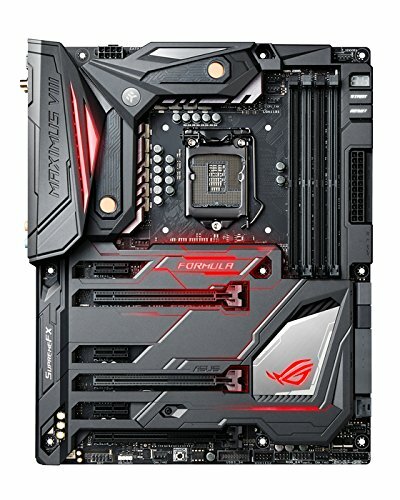 Is this motherboard you used worth it in your opinion? If so, why? Yeah I'd say so. I was originally considering the Hero, but I really wanted the extra I/O ports and connections and the Formula was perfect without going overboard to the Extreme (for me at least). As an added bonus the Formula is a whole lot prettier and has fancy lights. I love the armor and the look of it is really just amazing. I'd buy it again if I was given the choice. Great job! Looks like a massive price but definitely worth it! It would have been much better if you would have gotten a 1060 or 1070 instead of the 980TI. Would have gotten a much better gaming experience and lower the price. Good job overall. Thanks! I want a 1080 really bad but they were still a way off when I built this. I will say that benchmark wise my 980Ti has kept up with and even outdone a lot of the 1060's and 70's I've seen on here so I'm still pretty happy with it. Hey just wondering if there were any issues with the 4+4 pwr connector for the cpu? I'm currently building a pc with the same case and mobo as you but can't fit the 4+4 pin connector to the 8 atx plug because of the joint in the connector is hitting the rear io shroud. :( i also have cablemods but that 4+4 connector clips aren't matching up with the top notch of the atx plug for the pin clips to hook on.. the notch is only on the right hand side for just the 4 pins. I'm obviously a first timer, great build btw! Thanks- I didn't have any real problems with it, but I do remember it was a pain to get on there. It's a really tight fit. Perfectly, I've had no problems with it and play nearly all of my games at the highest settings. One thing I love to see is every possible color for every RGB Led in a computer, thanks for the 40 unneeded pictures. Still a good build though so +1. I too am fluent in sarcasm. I may have gone overboard with the LED pics, but when you spend that much time and money you kinda want to showcase it all. I was actually looking at the Hero first but ended up going with the Formula- I would definitely recommend their boards though. 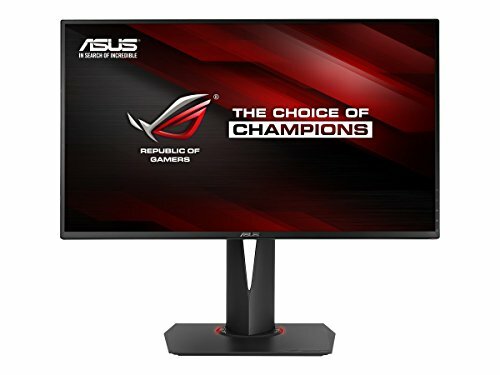 When I was researching the Hero I saw a lot of positive feedback and many PC media sources had Asus on their top board lists. I don't know what else you're looking at but personally I'm a fan of Asus boards. I've read some of those too, and that would be really terrible. Luckily everything worked right the first time for me so I've not had to deal with any of that. Knock on wood... But they do appear to be good quality, especially when I saw it in person.